The Motorcycle Riding Center vs Fairleigh Dickinson University vs Harley Davidson vs Riding Academy of NJ vs Rider Education. 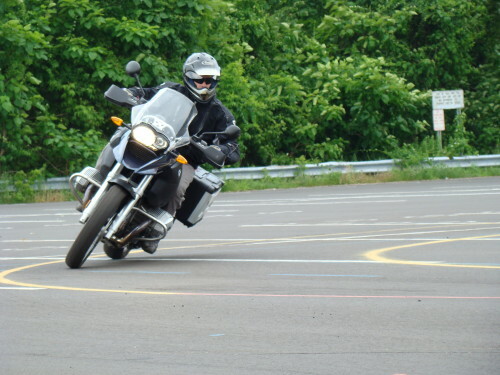 So many options for a motorcycle safety class in New Jersey! Which one should you choose? I wanted to do a comparison of some of the motorcycle safety schools in NJ. We all do the exact same MSF course but there are some features that really separate us. The Motorcycle Riding Center has 33 newer bikes (including 2014) that are no more than 3 years old. Fairleigh Dickinson University has a majority of newer bikes. Harley Davidson has 14 new bikes. The Riding Academy has bikes ages 5-6yrs old. Rider Education has older bikes. Some are least 17+ years old with a handful of newer ones. Winner: The Motorcycle Riding Centers. Rider safety is always the most important factor. Newer bikes need less repairs, are easier to ride, and most importantly, make it easier for you to learn. With the most new bikes in their fleet, Motorcycle Riding Centers takes it. 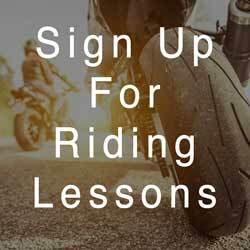 The Motorcycle Riding Centers have two convenient locations (Riverdale, NJ and West Orange, NJ) and two more coming in 2015. We’ll cover all of New Jersey: North, Central and South Jersey. FDU has one main location. Rider Education has five active locations in North and Central Jersey (not South). Winner: Rider Education. With the most location options currently available in New Jersey, Rider Education takes this one. The Motorcycle Riding Center has no commute at either location which makes it easier for our students to get out of the classroom and right onto the bikes! The least time driving, the most time riding. FDU has most students drive to get to the lot they use. Its on the other side of the campus. Harley has you commute from the dealership to the riding area. Usually 2+miles. The Riding Academy has you commute 5+ miles from classroom to riding area. Rider Education also has you commute from the college classroom to another lot on the other side of campus. Winner: The Motorcycle Riding Centers. With no commute whatsoever and riding areas right outside the classrooms, the Motorcycle Riding Center takes this one easily. The Motorcycle Riding Center hours are 8am-10pm and the owner is always the person answering the phone – 7 days/week. FDU has a live person available from 9-6pm M-F.
Harley has a live person from 9-5pm 6 days/wk. Riding Academy has a live person from 9-5pm weekdays. Winner: The Motorcycle Riding Centers. With the longest hours and 7 days a week access, The Motorcycle Riding Center takes this one as well. Lastly is the owner an instructor? Winner: It’s up to you! How important is it to have the owner’s experience right there with you as you learn? As you can see The Motorcycle Riding Centers have more benefits. With the newest fleet of bikes, soon to be the largest number of locations, convenient class location, and round-the-clock availability, we’re second to none. We also encourage you to save our phone number 201-787-0661 and call us whenever you have questions for many, many years to come. We will always be here for you, and we can only speak for ourselves. I hope this comparison helped, now you decide! Ready to ride? Head here to find classes near you.